7 Kids and Us: State Farm Offers Tips on Summer Safety and Giveaway! State Farm Offers Tips on Summer Safety and Giveaway! 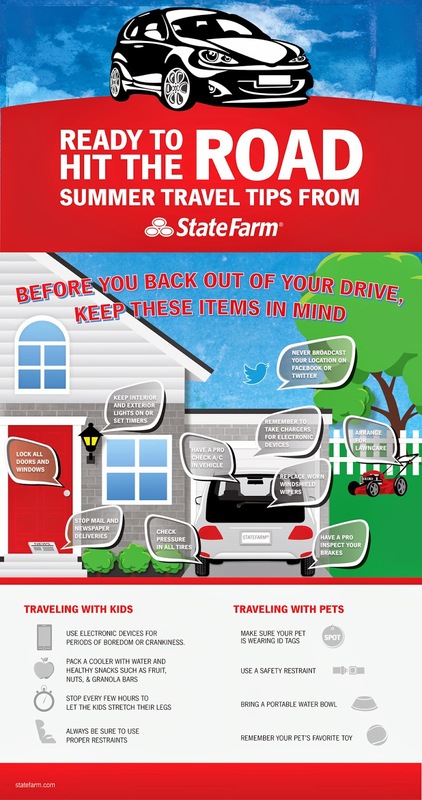 With 4th of July right around the corner and drivers gearing up to hit the road for vacation, State Farm has summer driving safety reminders to share, and a list of essential roadside items drivers should have in their vehicle in case of an emergency: http://st8.fm/wEt. During the hot summer months, it is important to remember to make sure vehicles are properly equipped with roadside emergency supplies to help keep families safe this summer. State Farm has provided a list of things you should keep in your vehicle at all times. Also, before you had out on vacation make sure your vehicle is ready to go. Test the headlights, brake lights, turn signals, emergency flashers and interior lights. Move the beach gear over for the roadside emergency kit. One reader is going to WIN an Emergency Summer Trunk Safety Makeover Kit Valued at $50! Enter using the rafflecopter form below. In a few weeks we are heading to the beach near Destin, FL. Hopefully go see some family we haven't seen in almost two years that live 15 hours away. I don't have any summer travel plans to-date. Driving to NYC next week to see some old friends! We're going to the lake tomorrow!! We had planned a camping trip to Yosemite, but now we are doing something closer to home. I took a trip to Ireland with my teenage daughter, my mom, and my sister. It was to celebrate my daughter graduating high school and turning 18. I went to Washington, D.C. on Friday! We will be traveling to the beach the middle of next month. We've traveled to the beach once already but I hope to make it back to the beach before summer is over. I've been taking summer college classes until Thursday. Then I only have a small break until my next semester starts. So I will just be trying to relax! We plan to go camping and to the beach with our daughter for her first time! We don't have any travel plans this summer. We are just going to Omaha, which is not too far.